They are great, fits 99 percent of my clients, purchased 3 and reordered another 2 since I like them so much. 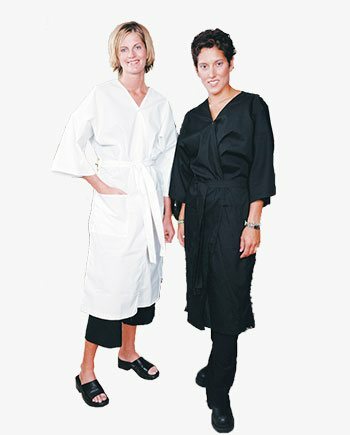 I purchased the cotton/polyester gown for my salon and my customers really liked it and found it comfortable. I just ordered 12 more and this time I put my Logo on them which came out beautiful and what a great way to really show my brand to everyone that comes in. The customer service at Salonwear was really great, they were all so nice and helpful to work with. These were so great I made another purchase. great weight and easy to clean.